Wise homeowners should maintain their property to avoid problems and protect their investment. Learn what to do to maintain your furnace, boiler, air conditioner, water heater, gutters, chimney and other home components and learn when to call in the experts. Understand what typical life expectancies are for roofs, HVAC systems, water heaters and the like, and what to look for to identify small problems before these become large and costly ones. This is a “do it yourself” home maintenance class. There will be plenty of time for questions and discussion. Home Seller’s favorite. This class is perfect for homeowners when selling and for home buyers making the largest purchase of their life. Sellers- Have you ever wondered what the home inspector is thinking while they inspect the house you are considering to purchase or are selling? Do you know what to expect when you will be selling your house in the future?. Find out what are the things the inspector may find and other conditions and pitfalls that can slow down your sale or scare away your potential buyer. Find out what to do before you put the house up for sale beyond just removing the clutter and taking down personal photos. Buyers: Are you planning to buy a home and want to make sure your inspection is thorough? 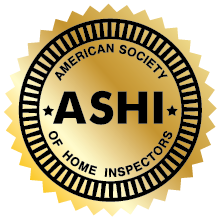 Come to this class and meet a seasoned Licensed Professional Home Inspector who will provide you with information about home inspections that you may not know. The instructor will give students a tour of a home and teach the class what a comprehensive inspection should cover, including structural, mechanical, termite and wood destroying insects, radon screening, lead paint inspections, buried underground oil tanks, chimney inspections, sewer line inspections and the like.